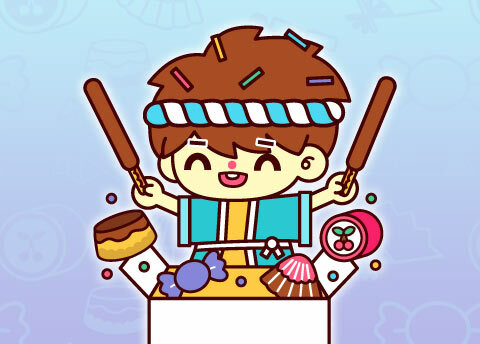 JULY 2018: ICE CREAM CARNIVAL! 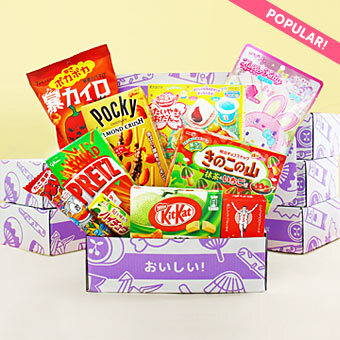 Take a peek which Japanese snacks were included in the July Japan Candy Box! 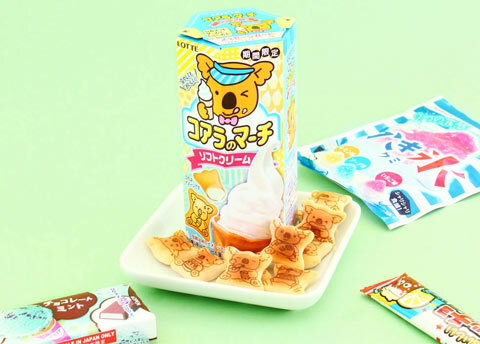 Koala March biscuits are super popular everywhere in Asia. 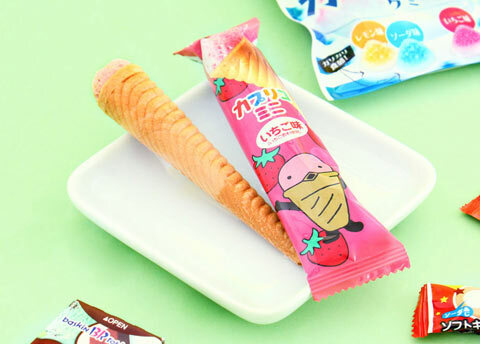 These are limited edition treats with soft serve ice cream flavored filling. Try them frozen for the full taste experience! 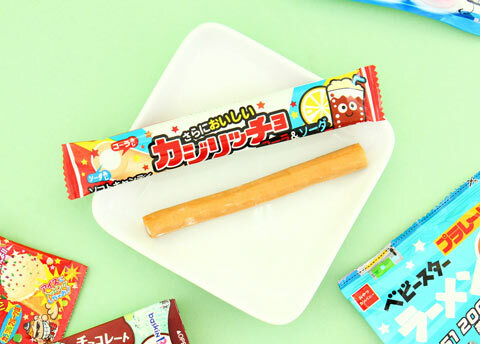 Dip these crispy biscuit sticks into the chocolate and candy sprinkles. Such a handy snack! 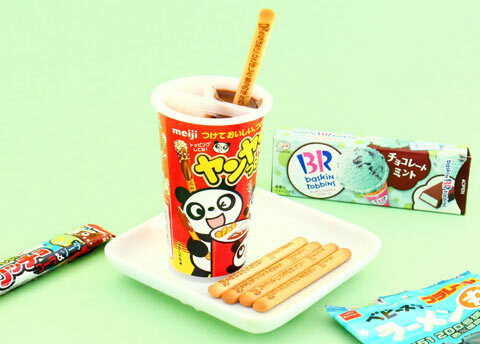 Each stick is decorated with Japanese words and cute pandas! 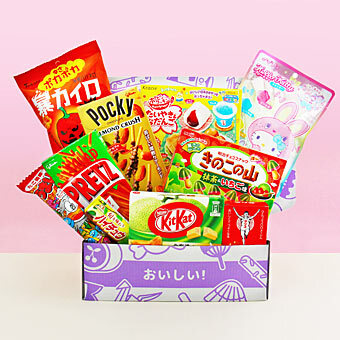 Limited edition summer collaboration! 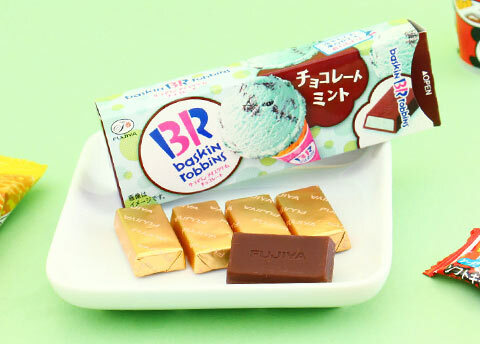 Carefully crafted to emulate “Chocolate Mint”, which is one of the most popular ice cream flavors at Japanese Baskin Robbins. 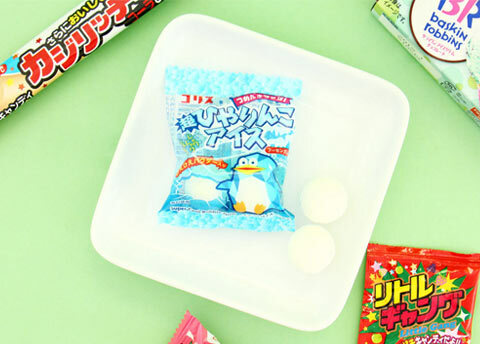 Summer treat in candy form! Shaved ice is a hugely popular summer snack in Japan. 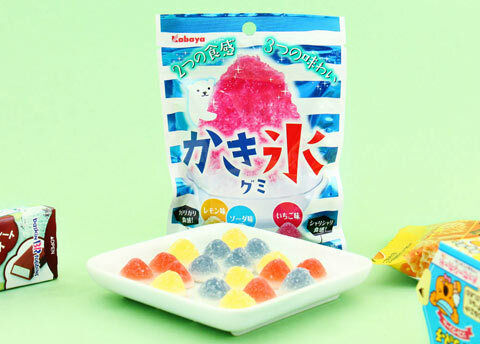 It is made by covering a cup of shaved ice with a sweet, flavored syrup. 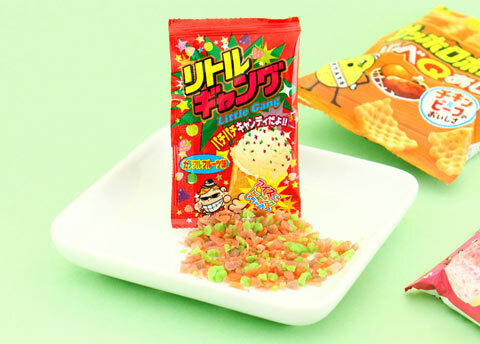 Sprinkle this bag full of fruit-flavored crackling candy powder on an ice cream. Such a unique flavor experience! Baby star crispy noodles are a fun savory snack on the go! 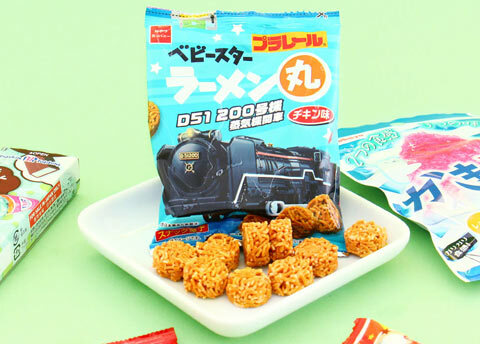 These special edition ramen snacks are decorated with pictures of Japanese Shinkansen bullet trains! 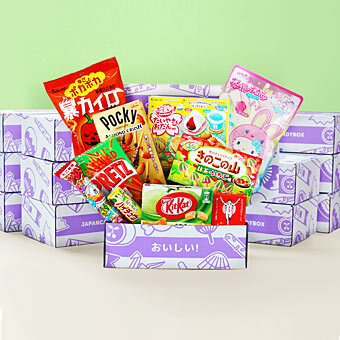 Fun ice cream flavored Japanese snacks perfect for all summer adventures! They do not melt like ice cream, but taste delicious on a hot summer day! Icy gumballs with a slightly hard outer shell and filled with softer cooling xylitol. The super cool mint flavor will freshen your breath! This rope shaped candy has two layers, one tastes like cola and the other like soda! What a perfect summer treat! 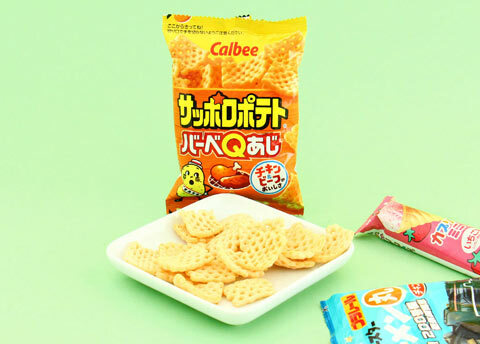 The super popular savory snack made from famous Sapporo potatoes and flavored with delicious barbecue seasoning.